For over 40 years, the NHS has had an interlinked relationship with the European Union that has become integral to how we deliver patient care. Yet with less than three months to go before the UK’s withdrawal there is still no agreed deal as to how the NHS will cope with the new reality of the UK being detached from its closest neighbours. What challenges does this present for the nation’s health after 29 March? Perhaps the most pressing issue relates to the people who deliver our care: the NHS workforce. Freedom of movement and EU laws which allow health professionals who qualified in one EU nation to practise their profession in another, have enabled many health professionals from countries within the European Economic Area (EEA) to work in the UK. At present, close to 8% of the NHS’ doctors – or one in thirteen – come from this group, which makes them a vital part of keeping the NHS functioning, especially at a time when it is under unprecedented pressure with widespread staff shortages in key areas like emergency care and general practice. Between October and December 2017 there were a staggering 100,000 vacancies across England in NHS Trusts alone. Given this environment, we can ill afford to lose this highly trained group of doctors which unfortunately under the current uncertainty could be a likely scenario. A recent BMA survey of 1,500 EU doctors found that 78 per cent are not reassured by the Prime Minister’s commitment to protect the rights of EEA citizens in the UK in the event of a no-deal Brexit, and more than one third (35 per cent) are already considering moving abroad before Brexit had even happened. The government has attempted to allay some of these concerns with the announcement of a settled status scheme to enable EU citizens and their families to remain in the UK after Brexit. But leaving aside the fact that our survey found a third had not heard about this option, it is clear that in the longer-term Brexit will lead to the end of freedom of movement, creating further barriers and uncertainty about the status of future EU nationals wanting to come and work here. By extension this impacts on the future staffing of the NHS. Moreover, it is likely Brexit will add to the demand to recruit doctors from overseas more widely, including the Indian subcontinent. We know that the UK Government is actively seeking to fill the gaps in the current workforce with doctors from India through a targeted recruitment initiative in partnership with Indian medical representative groups. 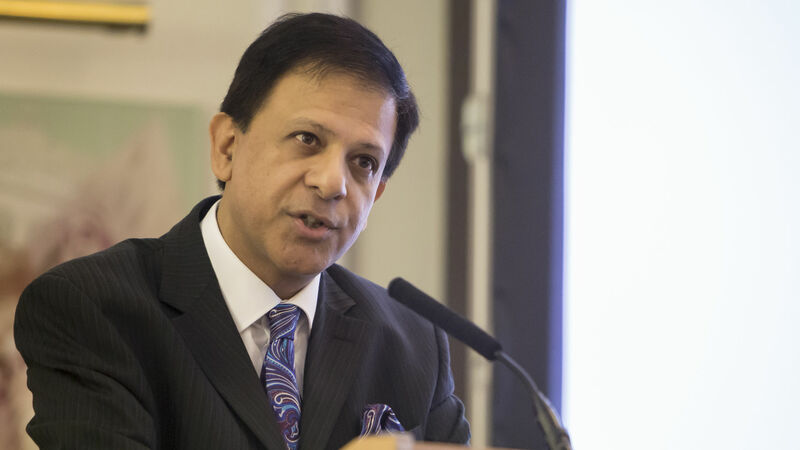 Furthermore, following a hard fought and successful campaign by the BMA, the Home Office announced that it would be scrapping the cap on Tier 2 visas for doctors and nurses last June, thereby removing arbitrary limits to overseas recruitment. Despite these incentives, we are still struggling to recruit enough doctors to deliver patient care. Alongside these stark workforce issues sit a number of other unanswered questions. Medical research has benefited hugely from the partnerships across the EU, both in terms of training, funding opportunities and shared research programmes. All these now have a question mark over them. How medicines will flow into the country and out has still not been agreed fully. And, as widely reported, the issue of Northern Ireland is incredibly important. Freedom of movement allows the pooling of resources and patients across the Irish border, a situation that could well cease after 29 March unless an agreement can be reached. At the BMA’s annual conference last year, recognising the major threat to the NHS and the nation’s health, doctors voted to oppose Brexit. We are now working with other influential health organisations to campaign for the public to have a final say on the Brexit deal. As the March deadline approaches we will continue to warn of the risks of Brexit in order to safeguard the interests of patients and the NHS workforce. We are too dependent for the delivery of patient care on our deep and beneficial links with the EU, built over decades, to throw them away without being certain of what will replace them. The British Medical Association is the professional association and registered trade union for doctors in the United Kingdom.